Service and product sometime is not just about technical system, it's also about good design, user interface and beauty. 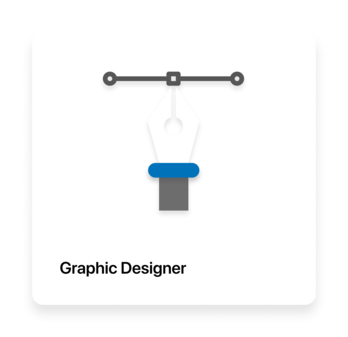 Design is categorized into several types, one of them is user interface graphics design. Someone who work as graphics designer should be creative, as well as be collaborative in their approach because they often work with business teams and marketing departments come up with a workable design. Shareable design portfolio (Behance, Dribbble, Personal site, or Regular portfolio) showcasing your design work is a must. Only candidate with portfolio will be selected. Skills regarding motion graphic, video or UI/UX is a must.